One of the questions our customers often ask is, “What is the benefit of using the Snap Tape”? Our 3091 Snap Tape works with several of our carriers. Snap Tape is made with one inch wide polyester webbing and nickel plated brass snaps spaced 4.25 inches apart. We offer snap tape by the yard in 3 colors: White, Black or Gray. It works by snapping the back of the curtain to your curtain carrier or glide of choice instead of utilizing a hook or pin. It can help you achieve many different design styles in a snap! Snap Tape can be sewn to a curtain you are already using on a curtain track or rod like the RippleFold curtain above - or - it can easily be sewn to a curtain you are making. It is a very good option for curtains mounted in public venues and where kids may be inclined to pull on the curtains, since the snaps on the snap tape can come undone without anything ripping or breaking. It also makes removal and replacement of the curtains onto the drapery hardware simple, as well as eliminating the need to remove hooks for curtain cleaning. 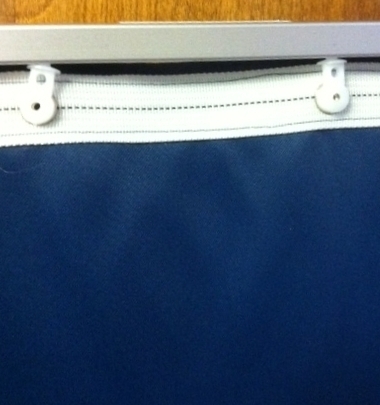 Numerous customers and designers want their curtains to cover the carriers. This can be easily achieved with the Snap Tape. 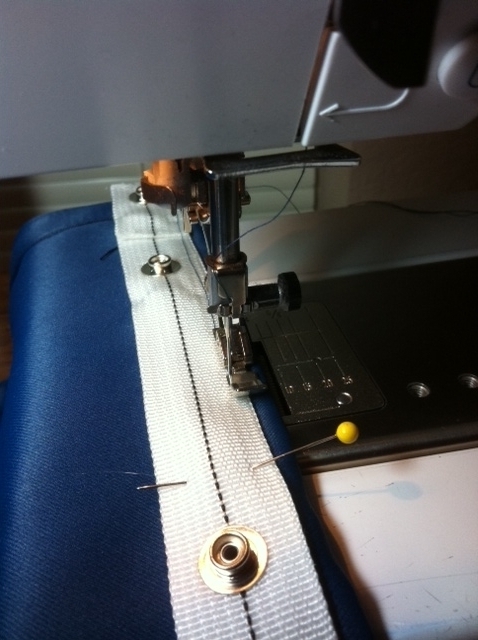 Simply sew the Snap Tape on the curtain ¼ inch from the top of the curtain header. Want to hide the hardware AND track? Just increase the distance from the top of the header. Our 3091 Snap Tape is stiff enough that it will not fold onto itself. For best results, place the first snap about 1 inch from the side of curtain. 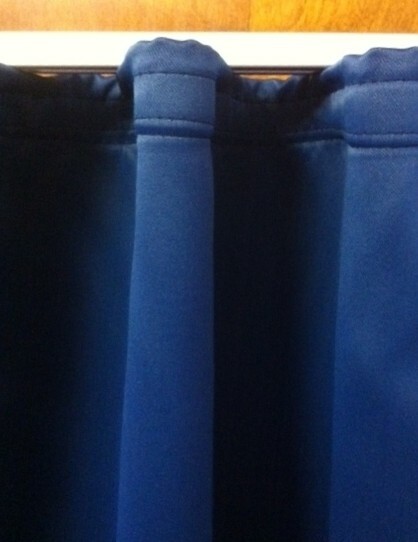 Depending on the width of your curtain, you may need to adjust the spacing for the last snap on the opposite side. This will help hold the sides of the curtain securely and maximize the entire width of the track. 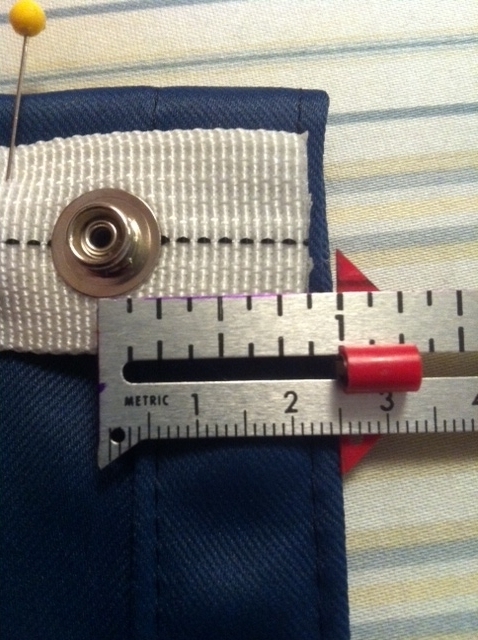 Our experience has proven the effectiveness of a zipper foot when sewing the tape on the curtain. 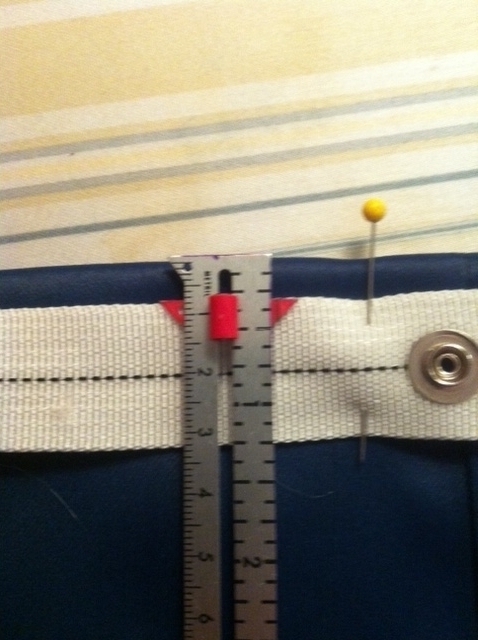 This will keep the foot from hitting the snaps as you sew and you will be able to sew smoothly along the webbing. Looking for full curtains? Use our Snap Tape along with our 84106 carrier. The 84106 Wheeled Carrier- Corded for Ripple Fold is a great choice if you want to maintain a ripple fold effect on your curtains when closed. These carriers are attached to a cord spaced 2-5/8 (60% fullness) or 2-1/8” (100% fullness). When attached to the snaps, this system will hold the ripples at desired uniform spacing. Check out the 84003 & 84004 Track Systems! Our team at Curtain-Tracks.com is always striving to help our clients achieve the decorating look of their dreams. Whether glam or function is your goal, check back often for tips and updates.